Bottom Line: An upstanding apple brandy with layers of flavor that evolve on the palate. Fruit Brandy is the default term for all Brandies that are made from fermenting fruit other than grapes. Fruit Brandies, except those made from berries, are generally distilled from fruit wines. Berries tend to lack enough sugar to make a wine with sufficient alcohol for proper distillation, and thus are soaked (macerated) in high-proof spirit to extract their flavor and aroma. 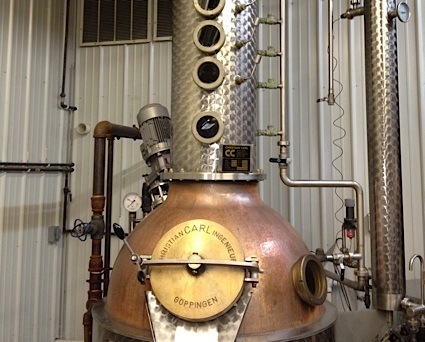 The extract is then distilled once at a low proof. 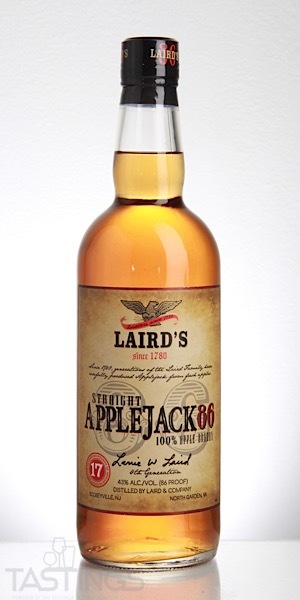 Laird’s Straight Applejack 86 Brandy rating was calculated by tastings.com to be 92 points out of 100 on 12/18/2018. Please note that MSRP may have changed since the date of our review.